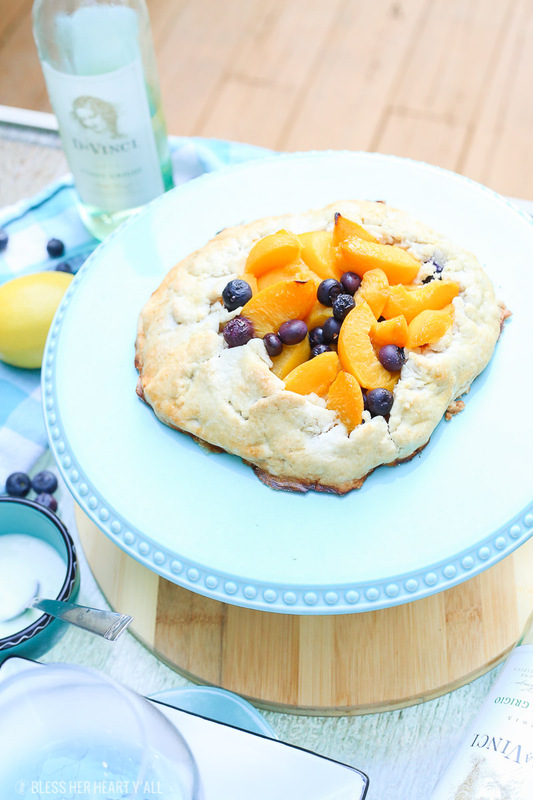 Peach Blueberry Galette - Easy, Gluten Free, and Delicious! 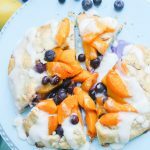 This peach blueberry galette combines peach slices and fresh blueberries in a sweet juicy sauce and then spreads it inside a doughy sugar-lined crust and bakes it all to golden perfection. 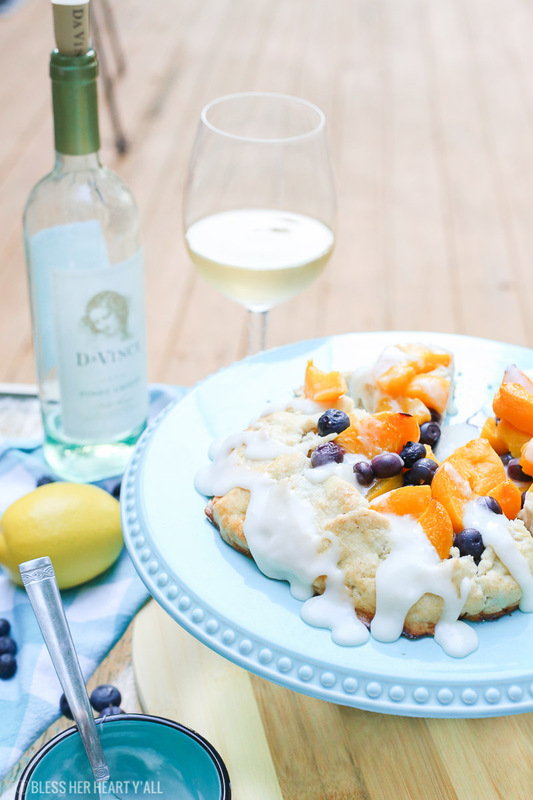 This gluten-free tart is drizzled in a light lemon glaze and is the perfect summer snack to enjoy outside on the back deck with a chilled bottle of white wine like DaVinci Pinot Grigio, our sponsor for this post! I just wrapped up one of my first weekends of the year where I may have had too much sun. It’s kind of hard to fight all the summer food urges once you’ve had your first sunburn of the year. 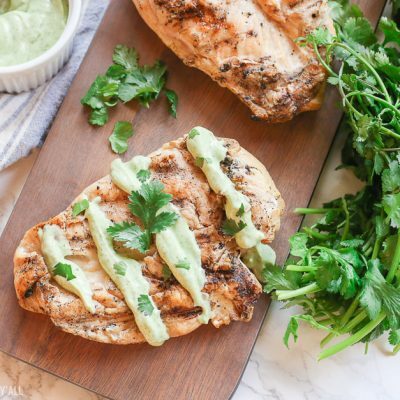 It’s the proof my mind needs to start getting my head in the summer food game. I spent part of my weekend in this situation that you see here. 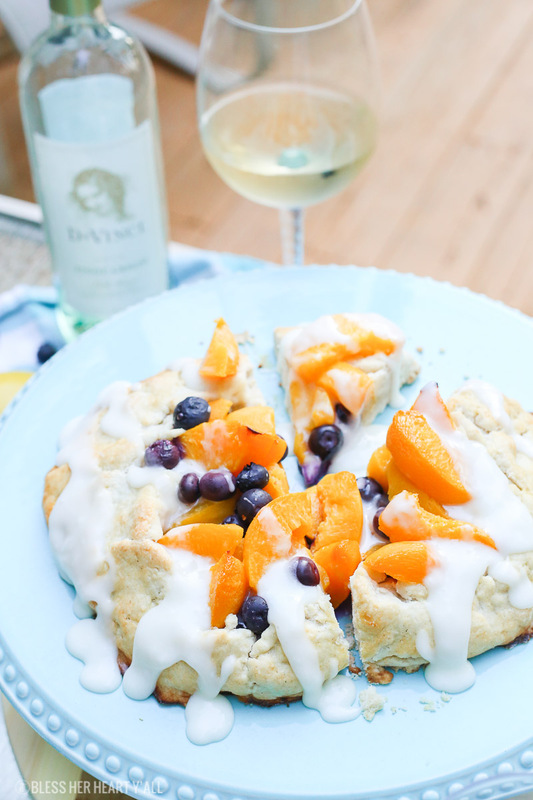 On my back deck, a warm summer-like breeze hitting hubby, friends, and myself as we sat and sipped chilled DaVinci Pinot Grigio and devoured this peach blueberry galette one mouthwatering slice at a time. 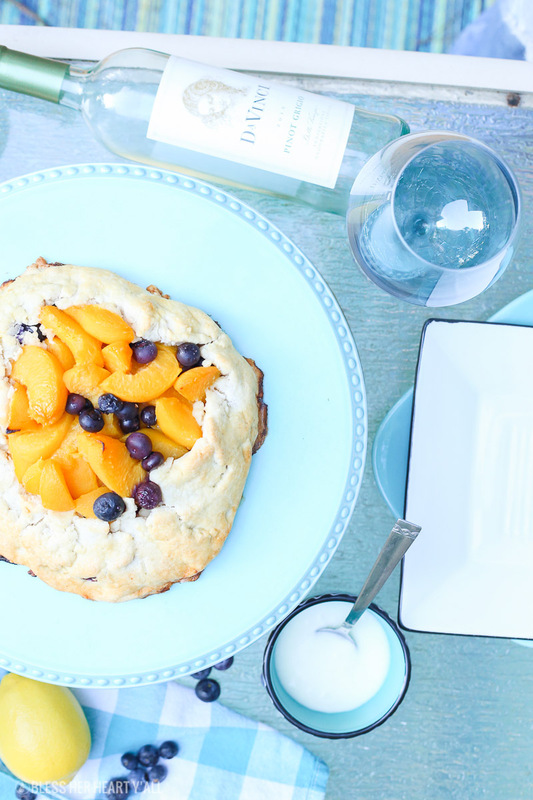 The peach blueberry galette is a favorite of mine to serve while friends are over during the warmer months. For one, it’s gorgeous to look at with the bright oranges and blues complimenting each other. 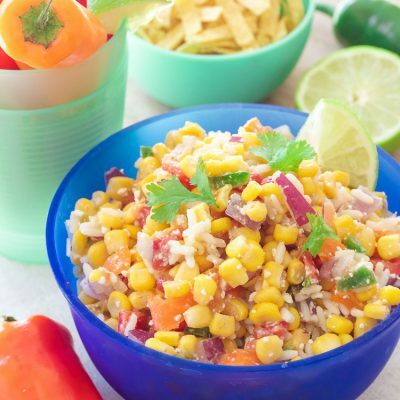 Secondly, it’s a really easy recipe to put together but no one will guess that. 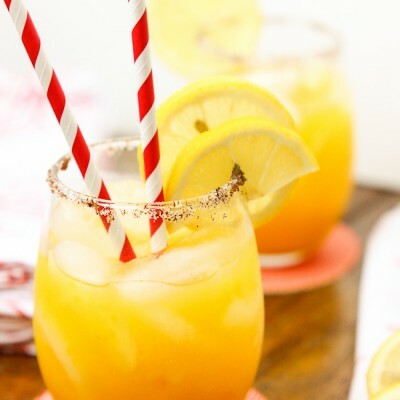 Thirdly, it’s a great party dish that can be treated like a sweet summer pizza by serving it by the cut slice and adding your toppings, the sweet lemon glaze, to whomever wants it. 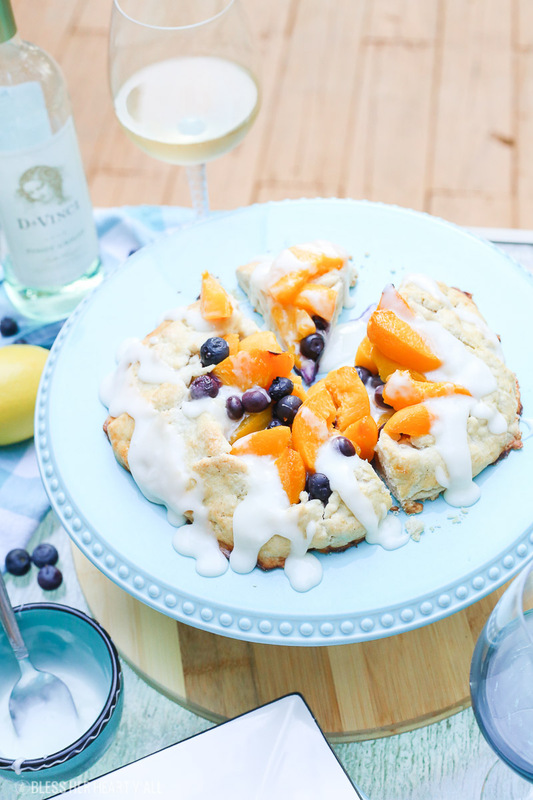 And the fourth reason why this peach blueberry tart is fantastic with company over is that it is amazing paired with a chilled bottle of white wine. DaVinci Pinot Grigio is a new favorite of mine. The clean, crisp finish and natural acidity makes DaVinci Pinot Grigio very food-friendly. DaVinci Wine produces authentic, high-quality Italian wines. The cool evenings and warm days of northeastern Italy are key to producing the perfect Pinot Grigio grapes. This results in a wine that is more acidic and less sweet, which ultimately pairs better with food than many domestic Pinot Grigio wines. It was interesting to learn that DaVinci Wine is produced by the Cantine Leonardo da Vinci, a cooperative of more than 200 passionate local winegrowers nestled near the Tuscan hillside town of Vinci, the historic birthplace of Leonardo da Vinci. 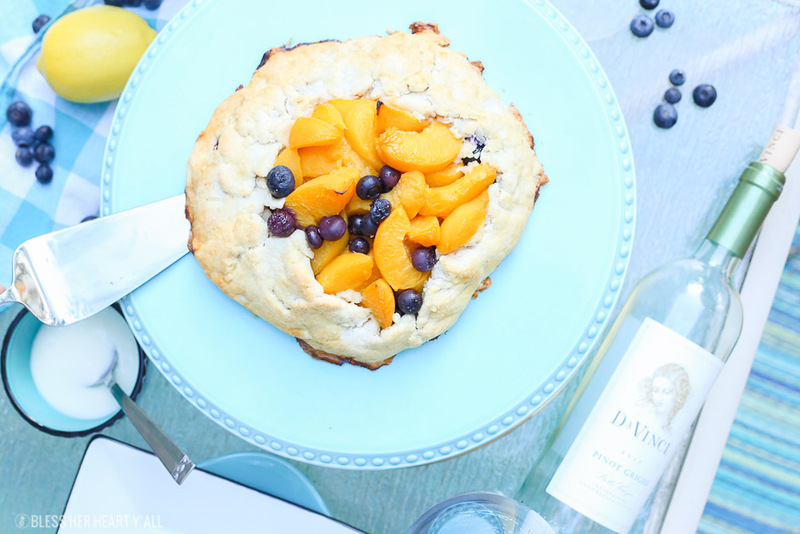 If you are looking for that perfect wine to pair with this galette, you know where my recommendations lie. So, serve yourself up a glass of Pinot Grigio while preparing your simple fruit filling and your crust dough that will need to be refrigerated for at least 30-60 minutes. Once the galette dough has been sufficiently chilled, roll it out into a 12″ diameter circle, add in the fruit filling, and gently pinch the edges of the peach blueberry galette together so that they slightly overlap and keep in the warm fruit juices as it bakes. And let’s not forget the sugar dusting along the crust that leaves a sweet baked crunch to the doughy crust. So just before you stick the galette in the oven, gently brush the outer rim of the crust with an egg wash and a sprinkling of sugar crystals. 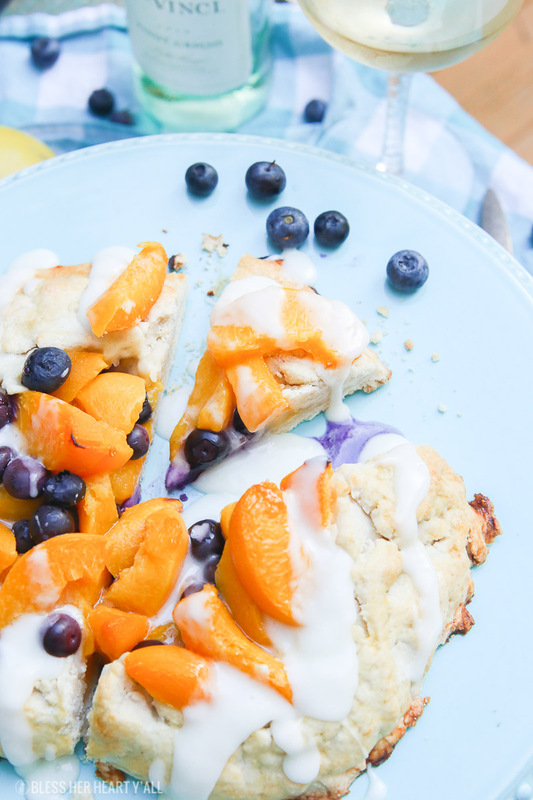 In less than 30 minutes in the oven, your peach blueberry galette will turn into this wonderful dessert or treat that guests will not stop talking about. If you want them even more obsessed, drizzle your warm galette with a 3-ingredient lemon glaze that has just the slightest hint of lemon for a light touch of flavor that ties it all together. 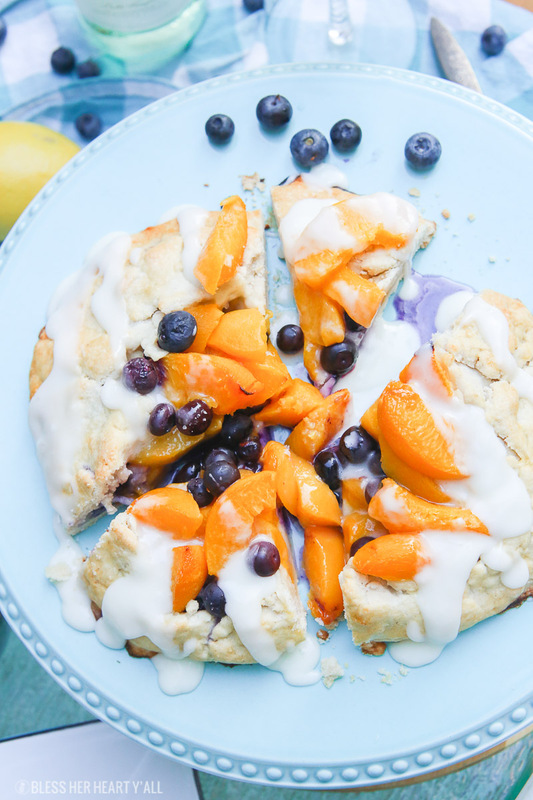 This peach blueberry galette combines peach slices and fresh blueberries in a sweet juicy sauce and then spreads it inside a doughy sugar-lined crust and bakes it all to golden perfection. 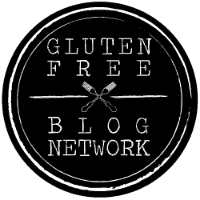 This gluten-free tart is drizzled in a light lemon glaze and is the perfect summer snack! Preheat your oven to 400°F. Combine all crust ingredients except the egg into a large mixing bowl and mix together until well combined. Roll into a ball, flatten into a disk, wrap in plastic wrap and chill in the fridge for 30-60 minutes. While the dough is chilling make the fruit filling by placing all the filling ingredients together in a large bowl and mix well. Once the dough has chilled, remove the plastic wrap and roll out to a 12" round circle on a lined baking sheet. Place the fruit filling in the center of the dough and flip up the outer edges of the dough together to form a bowl with the fruit in the center. Brush the outside edges of the dough with the egg wash and a sprinkling of sugar and bake for 22-26 minutes or until the edges of the crust are golden brown and the fruit juices are bubbling. Remove from the oven and allow to cool. Combine all glaze ingredients in a small mixing bowl until well combined and drizzle over the cooled tart. Enjoy with DaVinci Pinot Grigio! Thanks for stopping in friends and be sure to visit DaVinci Wine on Facebook for more summer wine pairing ideas! I partnered with DaVinci Wine, a brand I personally recommend to friends and family who are 21 years old and older, for this post. Thank you for continuing to support me, BHHY, and the brands that help make this site possible.